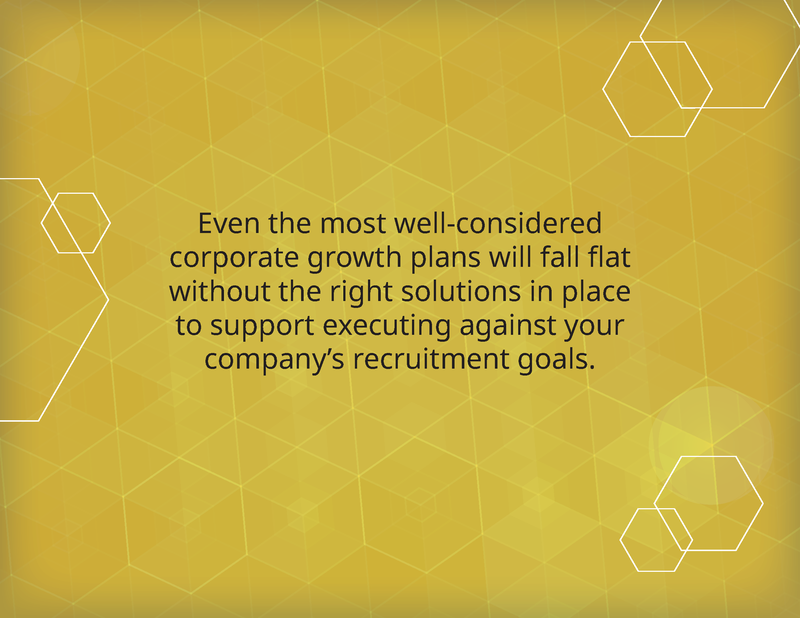 Many companies realize that their current processes are not sustainable to meet their hiring objectives over the long run. 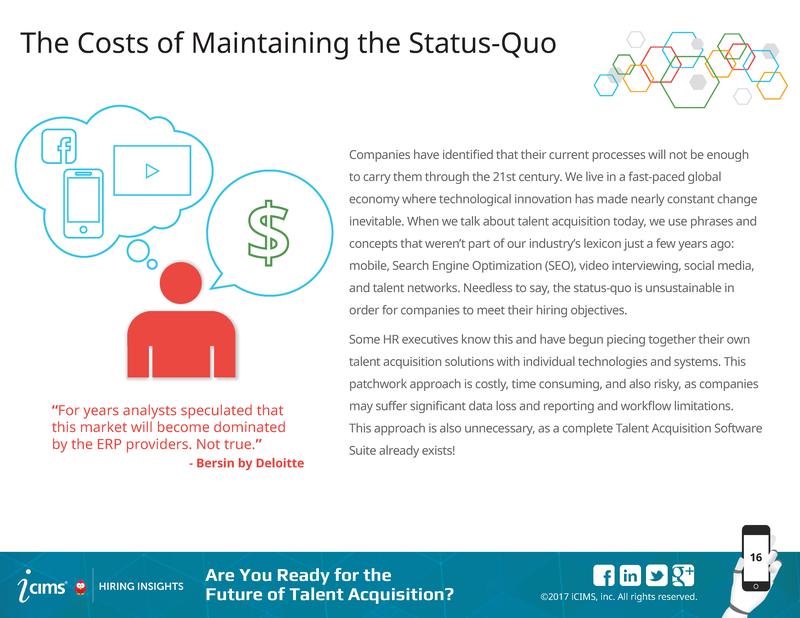 In fact, in a recent McKinsey study, 28 percent of CEO’s reported that their largest hurdle in achieving strategic goals is difficulty finding talent. 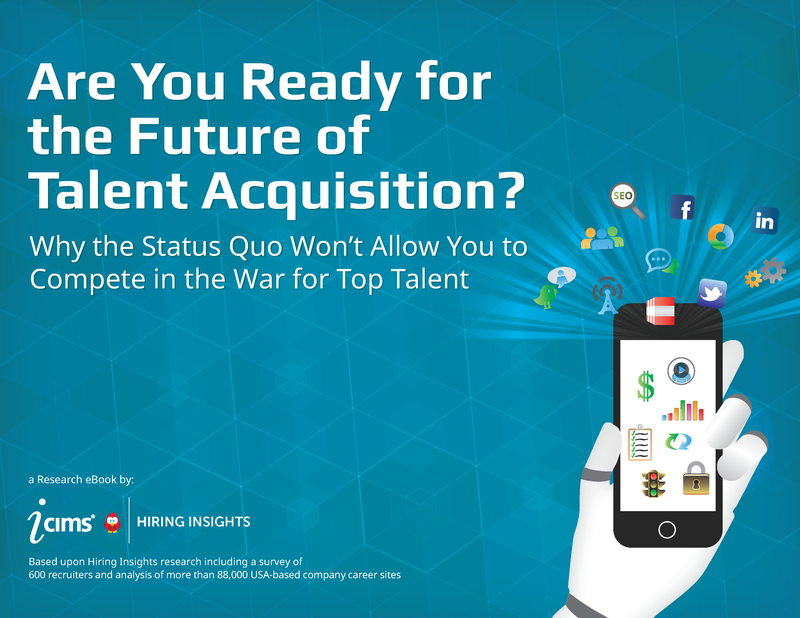 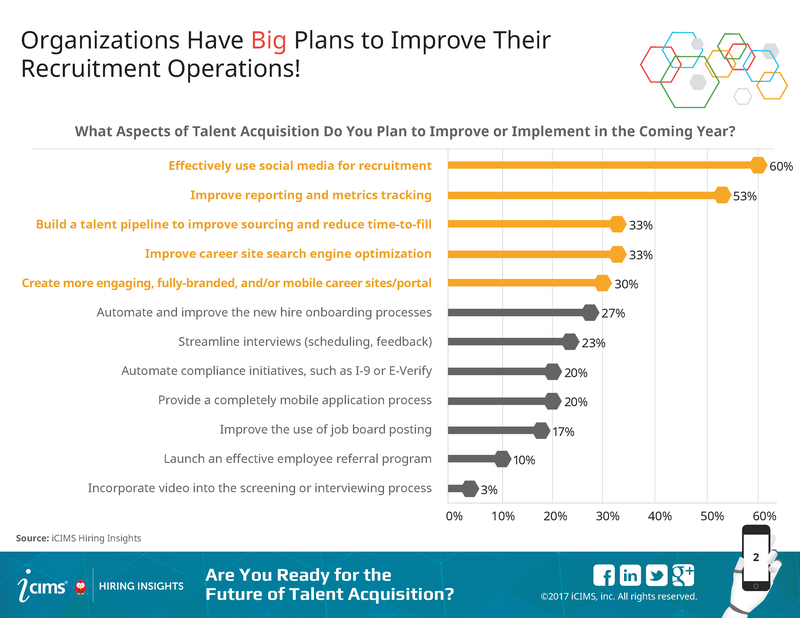 While talent acquisition is being identified as a top priority for business leaders, organizations are failing to put the right strategies and technology in place for talent acquisition success. 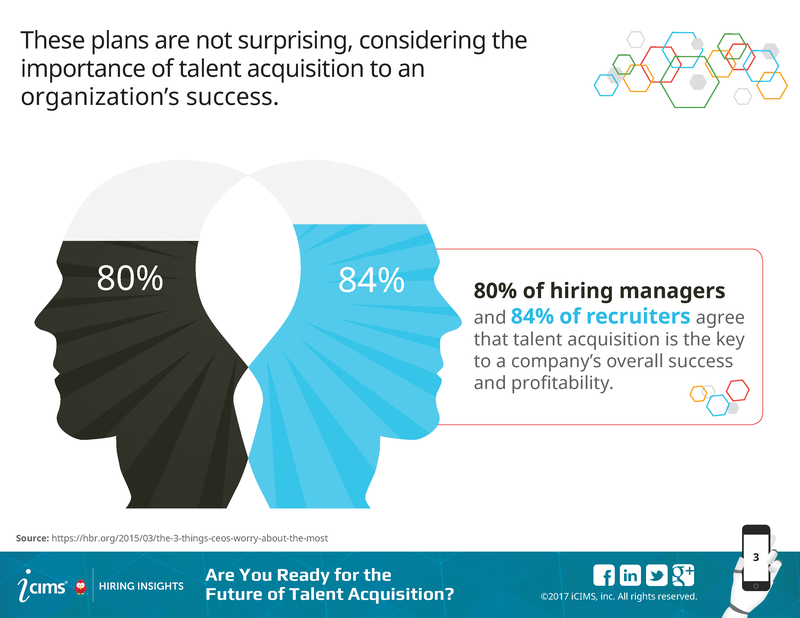 This is illustrated in a recent PwC survey, where 93 percent of CEOs find that they need to change their strategy for attracting and retaining talent. 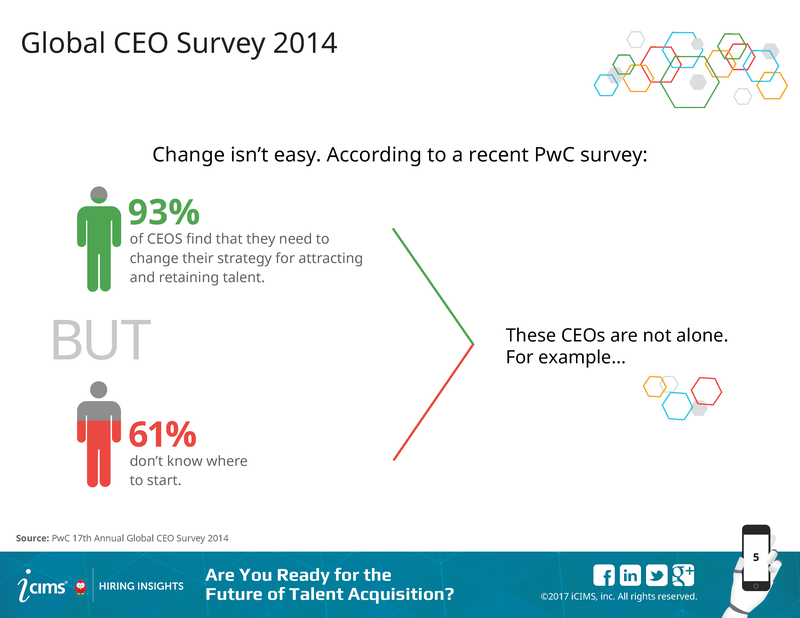 However, 61 percent don’t know where to start. 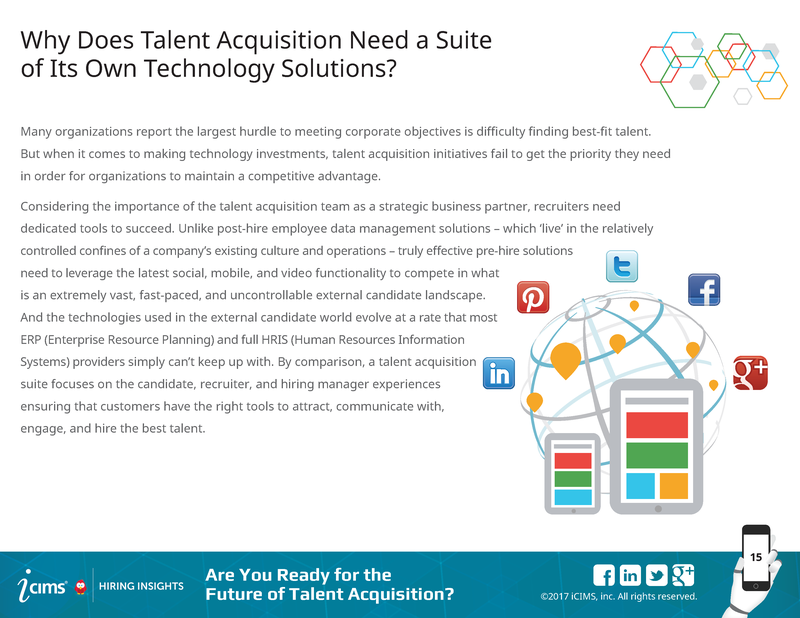 Savvy, innovative organizations understand that they must invest in the proper technology in order to meet their hiring goals. 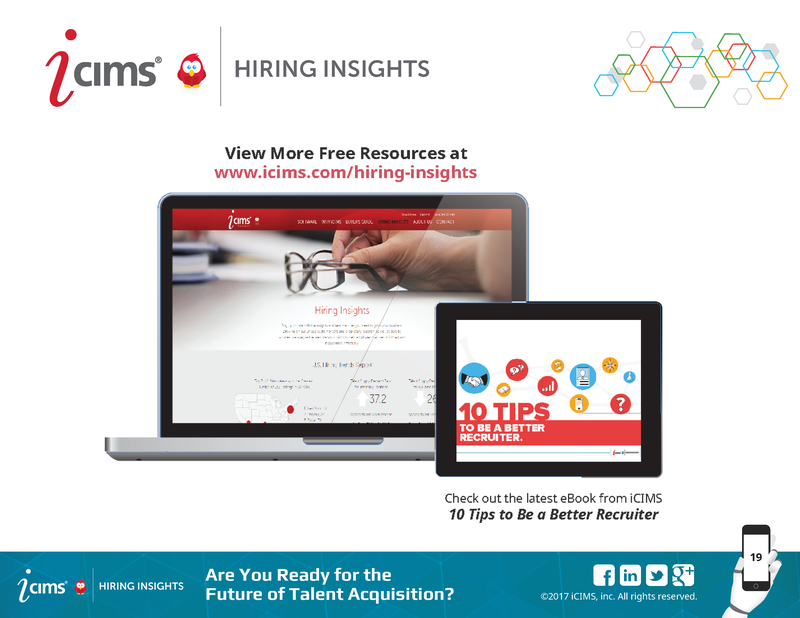 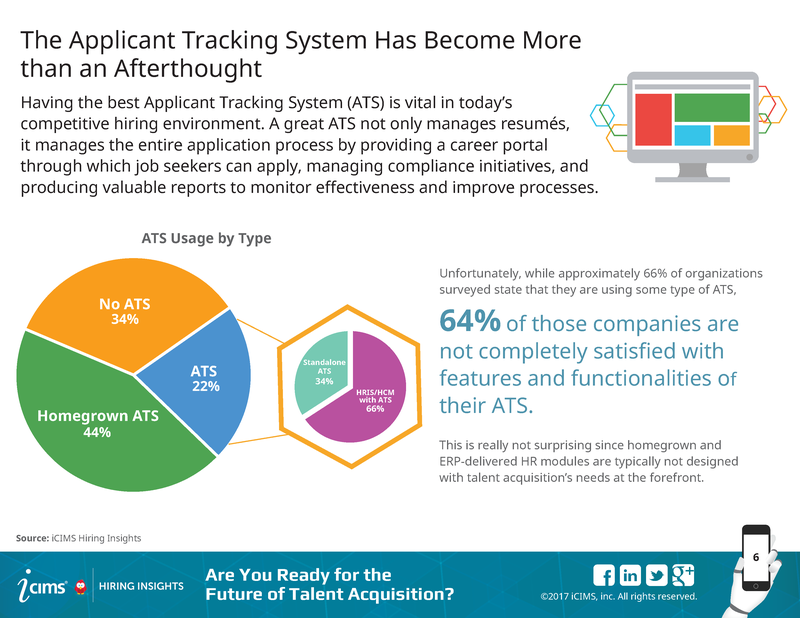 For example, according to research from iCIMS, 64 percent of respondents are not completely satisfied with the features and functionality provided by their current ERP or HRIS applicant tracking system (ATS) module. 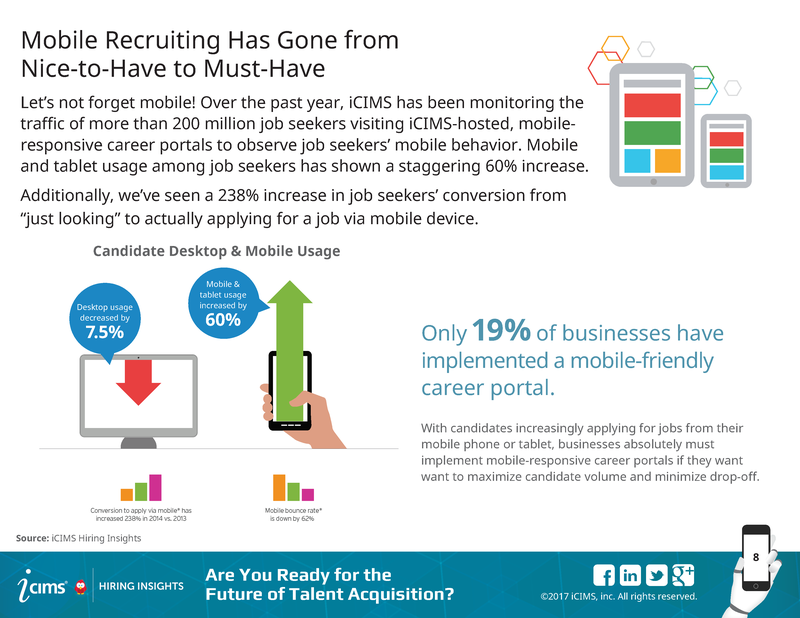 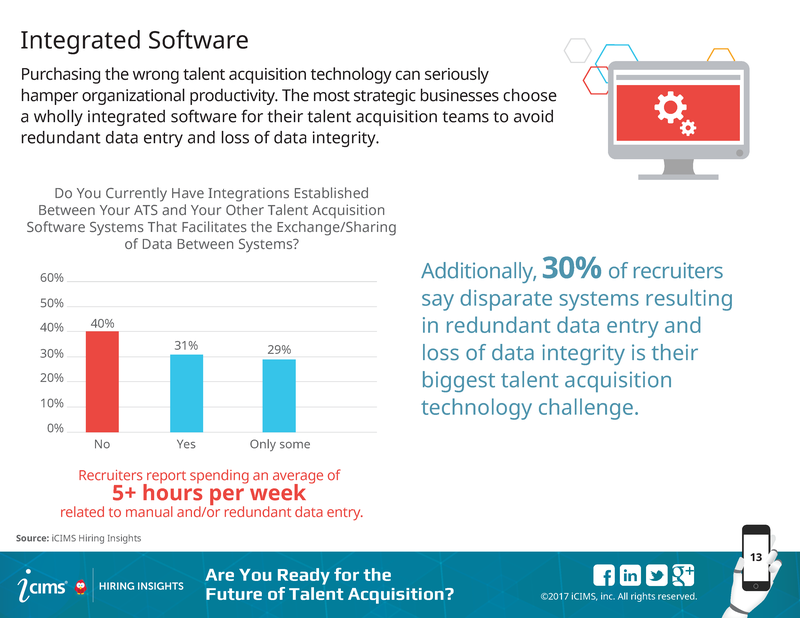 This is really not surprising since homegrown and ERP-delivered HR modules are typically not designed for today’s talent acquisition challenges. 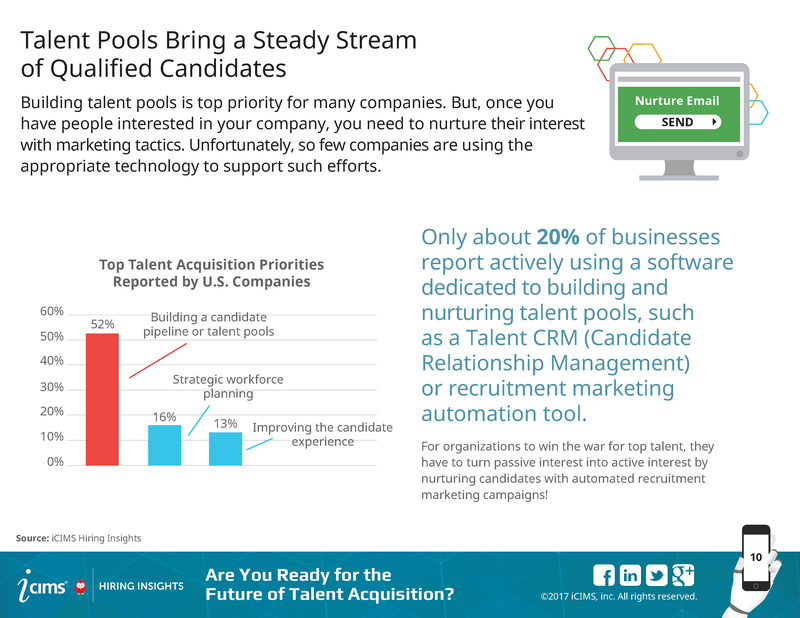 Nor are they equipped to leverage the latest technologies in use in the evolving candidate landscape – like social, mobile, and video. 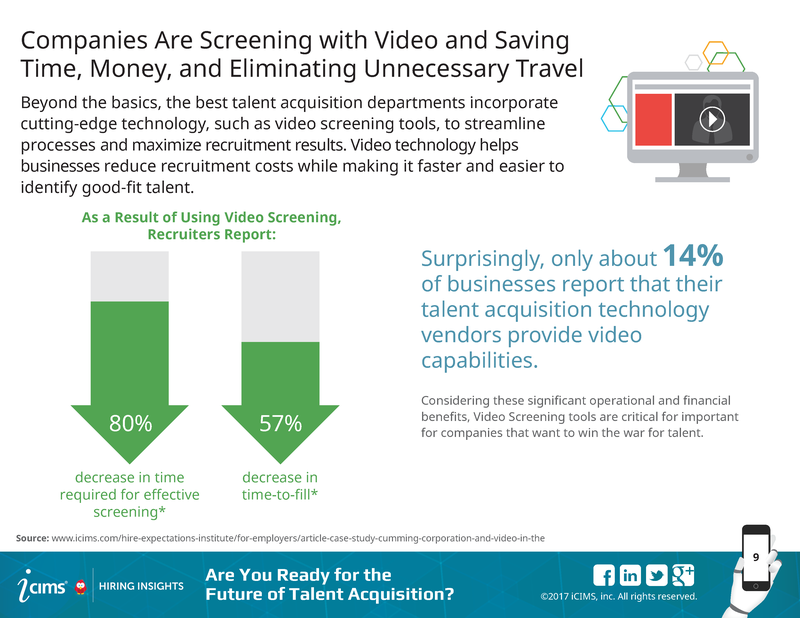 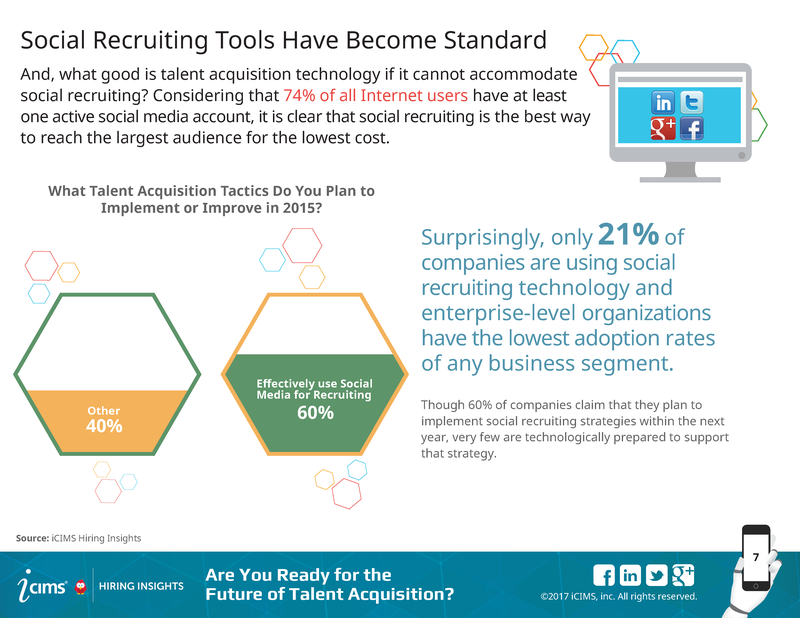 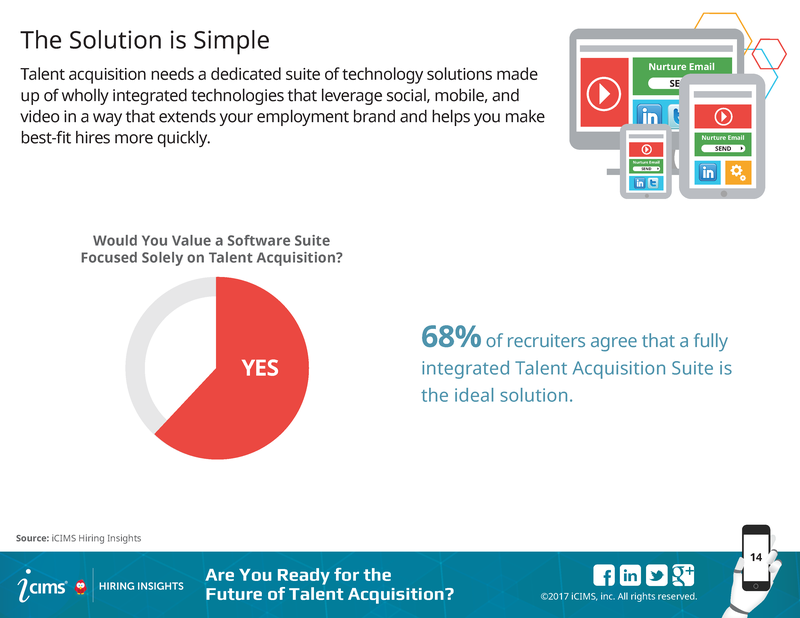 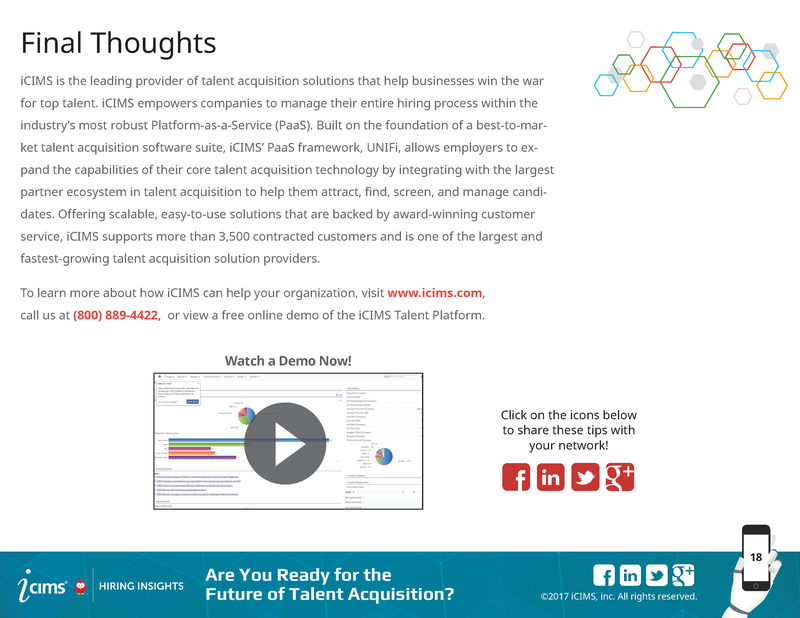 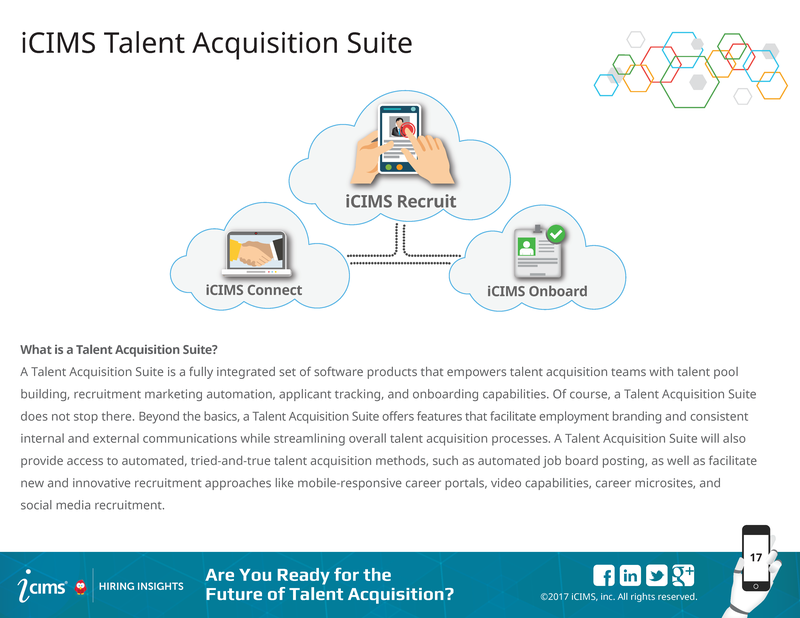 The future of talent acquisition technology is here! 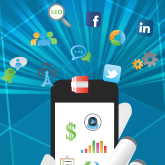 Read out eBook to learn more.